With his 2014 reelection bid around the corner, Governor Rick Scott has been touring the state touting his accomplishments. But there’s one thing missing: A running mate by his side. His former Lieutenant Governor Jennifer Carroll resigned in March, after she was linked to a veteran’s charity investigated for being an alleged gambling ring. "It is going to be very difficult in the future for just an all-white male ticket to be successful in a statewide race in Florida." Now that Scott says he’s begun the official search for his partner on next year’s ballot, University of South Florida political Science professor Susan MacManus says political insiders may again be pondering the best way to craft a diverse ticket. “Some of them choose a running mate who is going to complement them with skills they may not necessarily have, which of course Lieutenant Governor Carroll, had legislative experience and she put diversity on the ticket,” said MacManus. 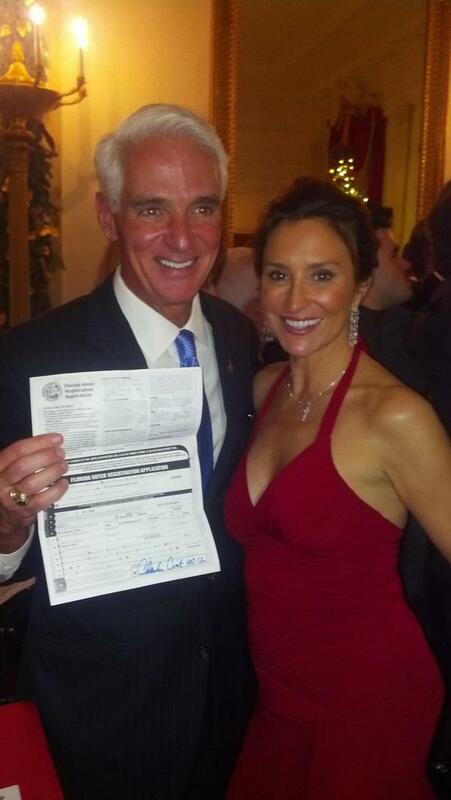 There’s speculation that Scott may be vetting Miami GOP State Senator Anitere Flores, a Hispanic woman. Some even think Scott might reach across the aisle to Orange County School Superintendent Barbara Jenkins, an African-American Democrat. There’s also Former U.S. Senator George LeMieux and Panama City Republican Representative Jimmy Patronis, who recently stepped out of the race for current Senate President Don Gaetz’ Seat. Still, Scott is keeping tight-lipped about who’s on his short-list, but he says he’s keeping an open mind. “The way we’re going to go through this is, let’s look at the qualifications. And, let’s find the best person. And, that’s what my plan is to do it. We’re going to be doing that. Okay, look I came in from outside politics. I’d never run for office before. And, I think it’s good to bring people in. It’s good to bring people in with different backgrounds,” said Scott. Scott has not given a timetable for when he will make his choice, and that’s left his opponents charging he’s dragging his feet. “It’s been 120 days since the resignation of Lieutenant Governor Jennifer Carroll and Rick Scott says he’s now he’s beginning the search for Florida’s second ranking constitutional officer. That’s outrageous,” said Karp. That’s the Florida Democratic Party spokesman Joshua Karp, who says it’s unfair to Floridians for the governor to take so long. Meanwhile, the Democrats may also be taking a long time in identifying a gubernatorial front-runner. So far, the only well-known Democrat to throw her hat in the ring is former Senate Democratic Caucus Leader Nan Rich. Other names thrown out as potential candidates are former Florida Chief Financial Officer Alex Sink, who ran against Scott in 2010, and former Governor Charlie Crist, a Republican-turned-Democrat. Neither has made any official announcements. The Standoff: All Part Of A Larger Strategy? USF Political Scientist Susan MacManus says both parties are taking their time to decide because a number of factors must be weighed, including race and gender. And, MacManus adds waiting for either side to choose their candidates could lead to a standoff. “The person who makes the decision first is at somewhat of a disadvantage because the other side can counter, and offset or maybe pick someone who can one-up maybe even the Governor’s choice for running mate on a particular issue or skill,” MacManus added. But the deadline is more than a year away. Governor Scott has until early September of next year to officially name his running mate. 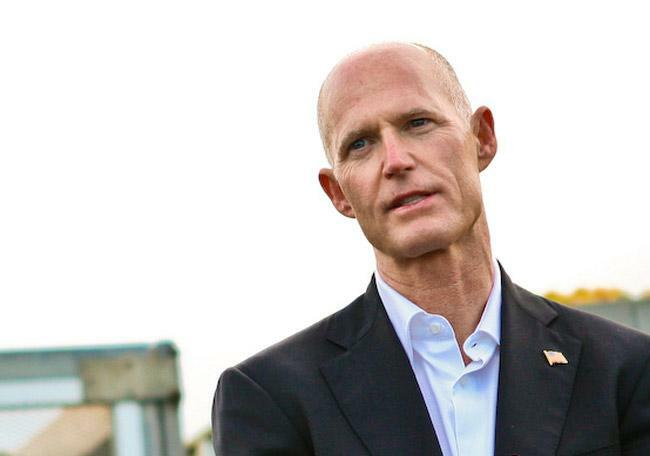 Governor Rick Scott’s approval rating may not be the best among Florida voters. But, a new Quinnipiac poll shows the Republican Governor with the highest approval rating since he’s been elected. Scott’s latest approval rating is 43-percent, up from March’s 36-percent. The Quinnipiac University Polling institute’s Assistant Director Peter Brown says Scott may be benefiting from a better national economy.